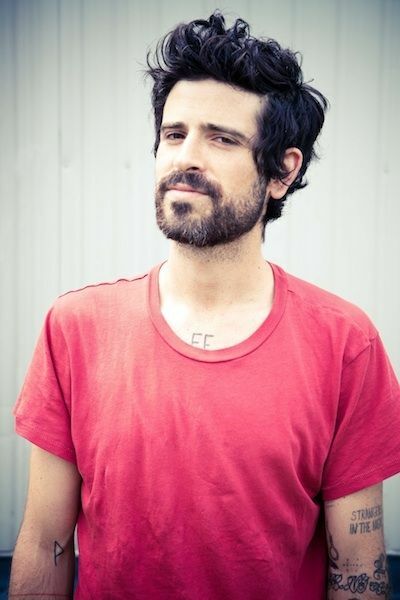 Devendra Banhart has been making some pretty major changes lately. For starters, his signature long locks are gone (though they've been missing for a couple of years now) and he's recently uprooted from California and moved to New York. 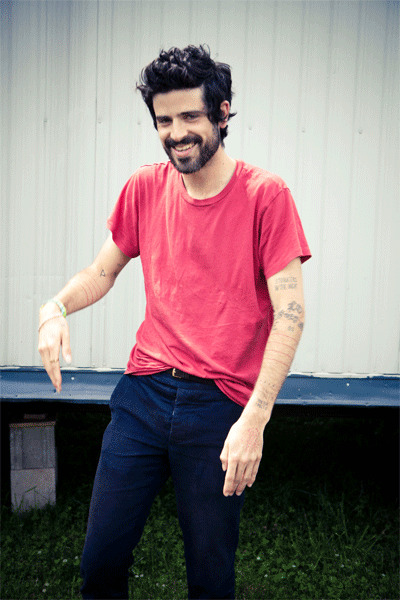 We caught up with the musician the other weekend at Governors Ball and talked to him about a forthcoming album, his thoughts on pop music and the EDM scene and his plans to make an ostrich egg omelet with Beck. Read on. So I hear you've just moved to New York from California? Yeah, my girlfriend and I just moved to New York three weeks ago. I love it. We just got matching bikes and we even tried jogging -- just once. We wanted to try it because we see "them" -- cause it's them until you try it -- and now it's us. Same thing with bikes. It used to be, "Oh, the bikers" but we're them now. Why did you decide to move to New York? I moved to New York because of Arthur Russell -- he's my favorite musician. Over the last two years, I've listened to him constantly and have been reading this book called Hold On to Your Dreams about how downtown, experimental, underground disco and classical composition and all those scenes blended together. There's all these addresses where Arthur would go hang out and it was so beguiling and just pulled me towards moving back to New York. Also the last time I lived here, I was homeless. I lived in a squat in the worst circumstances. It's nice to actually live in a very small apartment -- but an apartment -- where you can come home and know no one's going to walk in [on you] in the middle of the night. And you've also been working on a new album -- what can you tell us about it? The record is done. Rodrigo Amarante, from Little Joy and Los Hermanos plays guitar and sings on it a little. There's also more electronic stuff than before. We started messing around with that a lot more. Do you have a name for the new album? When do you think it might come out? I really have no idea. I want to put it out fully, mix it and then go to record labels and see if they want to put it out. So it's not going to be put out by Warner Bros? No. The last one was on Warner Bros. For me that was kind of unfortunate. At the time, it was a fun experiment because I'd never been on a major label. I never had this kind of philosophy of "a major [label] is the antithesis of everything I stand for." It didn't conflict with my morals or my ideals. It would've if they had asked me to change the music but they were very open. They said what I wanted an indie [label] to say: Do whatever you want. We'll put it out. We're not going to get in your way. Yeah we do some mainstream stuff but we also do some cool bands. We do Built to Spill, we do The Flaming Lips. Do whatever you want. That's what I wanted to hear and that's not what I ended up hearing from the indie [labels] I was meeting with. The division between indie and major is so blurry. The Plan B is to put [the record] out myself and that may be the ultimate thing. But I still have that dream of being on a label that's like a home. In the past you've talked about starting your recording process, in some cases, with a drawing or artwork that then leads you to a song and its lyrics. Did you use a similar process for this record? Not at all. That would just happen at the beginning [of my career] before those two worlds were distinct for me. I'm really fortunate because in the art world, people will say, "Oh, you also make music, right? I think you do that on the side." And with music, it's also "I think you do a little drawing." So it's quite separate. When a record is done, I get into an art phase where I make a body of work for a show or curate a show. Do you have any art shows coming up? There was one in Geneva but I had to push it back because they were hoping for something really involved where you actually go and make the work on-site and make it specifically for the space as opposed to a diaspora of artists throughout the world, mailing [art]. I like what they wanted to do but I just don't have the time right now. Do you go to any of the big art festivals? I've been to Art Basel Miami. What do you think of that whole crazy art circuit? I think it's great. I got to see Chuck Close -- I got to walk right by him. It's just like going to a music festival where you get to see people you like in person. When I was a teenager, I would stay in art class and try to memorize Art in America and any of the Taschen books of art -- I'd be like, "OK, I have to guess [what artist] that is." It's weirdly almost a pop culture/celebrity-type thing. Do you have any observations about the art world v. the music world in terms of the crowds? If I go to something, I'd rather go on the last day when I can just look at the art work. I don't really go for the social event. I kind of tunnel-vision that out and if I do see the person who made the work, I get very excited. As for the art world/music world, there's a lot of interdisciplinary work. There's not a huge divide in terms of the world of music I know of but there's a whole other world where I don't know any of the bands or what's happening. It doesn't register to me. Whatever the pop world is, it's broken down into so many factions of factions. Or what about the EDM world and how that's really taken off? Do you follow that at all since you mentioned getting into electro music on this new record? I've definitely heard of all of that and I've watched a Skrillex video and I think he looks like Corey Haim. Yeah, that's who I mean! I'm sorry. Too soon. He seems rad and the music is wild -- it's a whole other world. But I think it's cool. Someone who's much better at that than I am is Beck. He just knows about everything all the time. He's one of my favorite people in the world. We're actually buying ostrich eggs at the farmer's market tomorrow at Union Square because an ostrich egg can actually feed 20 people. Beck's kitchen is really big so we're going to make omelets.